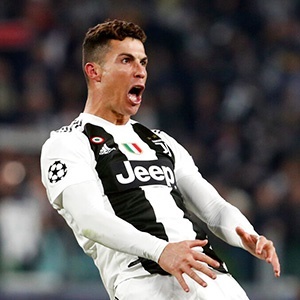 Rome - Cristiano Ronaldo could be back in the Juventus line-up in time for their Champions League quarter-final with Ajax, coach Massimiliano Allegri revealed on Friday. "There are good signals from Cristiano Ronaldo ahead of the match with Ajax," he said to reporters ahead of Saturday's visit of fourth-placed AC Milan. "Racism must always be fought against. It can never be justified," said Allegri. "Bonucci, with his mind still on the game, expressed himself badly but immediately apologised and explained what he meant."